Employers use various methods to assess and select candidates, which will vary from organisation to organisation. Some employers may simply sift applications and then invite shortlisted candidates to attend one or two interviews, while others may require candidates to undertake a number of tests and exercises in addition to an interview. Prospect’s podcast, ‘Preparing for Interview, part 1 of 5’, concentrates on the initial preparation and is also available on this site. Being invited for an interview means that your application has been well received and the employer is now considering hiring you. Converting this possibility into a reality requires careful and through preparation, which can be broken down into a number of steps. Start by re-reading your application form or CV/covering letter. Try to put yourself in the interviewers’ shoes. What are your strong points? Are there any gaps/weaknesses in your skills, knowledge or experience that you may be asked about? What areas might require clarification or explanation? Is there anything on the form that they might need to know? Anything you put on your application form or in your CV may prompt an interview question so be ready to expand on any of the information you have given. Familiarise yourself with the job description, re-read the person specification and list the skills and qualities needed. This will help you to anticipate some of the questions you are likely to be asked. Think about which examples, from your own experiences, you could use to demonstrate your skills and qualities. Find out as much as you can about the employer. Visit the organisation’s website, Facebook or LinkedIn page and request a copy of their annual report or find it on their website. Organisations will often talk about their mission and vision (purpose) and their values and principles (culture and ethos), so be prepared to refer to these if asked what you know about the organisation or why you are attracted to it. Find out what’s going on in the sector – who are the main players/competitors? What challenges or threats is the industry/sector facing (e.g. changes in legislation and government policy)? What might be some of the opportunities (e.g. new markets or products)? 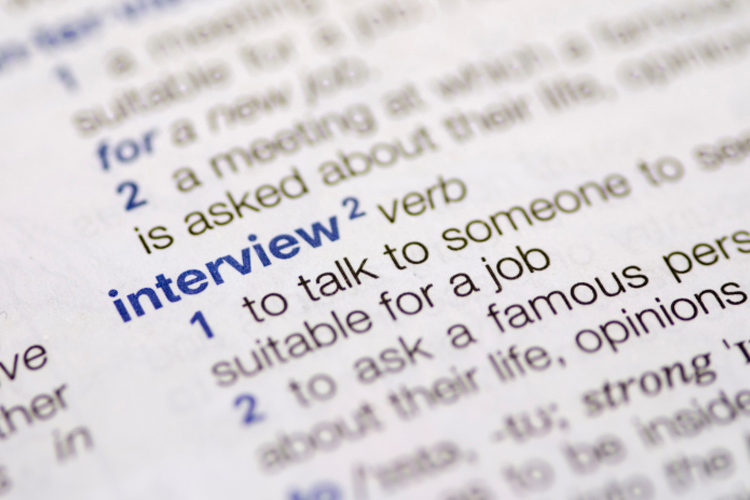 Find out as much as you can about the format of the interview. Some organisations will tell you who will be on the interview panel and type of questions that you will be asked. But if not, you might want to contact the organisation to request more detailed information. Check the time and date of the interview, the location and the name/job title of the interviewer(s). Take the letter or email inviting you to interview along with you. Have the phone number with you, in case anything goes wrong or you are delayed. Make sure you know how to get there and how long it will take – plan an alternative route in case of transport problems. Ability: Can you do the job? Do you have the appropriate qualifications, knowledge, skills and/or experience? Motivation: Will you do the job well? Do you have the right motivation, commitment and enthusiasm? Do you really understand what it involves? Fit: Will you fit in – with the team, the department, the organisation? Would people enjoy working with you? Equally important, though, is whether you see yourself working in this environment and with this team? These are questions about your experience, qualification and interests. See the podcast, ‘Preparing for Interview, part 2 of 5’, which covers in depth how to tackle biographical questions. These are questions testing specific knowledge and abilities relevant to the role. These questions seek examples of situations where you have demonstrated a particular skill, for example, your ability to work in a team or how you manage complex problems. See the podcast, ‘Preparing for Interview, part 3 of 5’, for guidance on how to prepare and approach competency-based interview questions. These questions ask you what you would do in a hypothetical situation. Prospect’s podcast, ‘Preparing for Interview, part 4 of 5’, provides a number of scenarios with examples of how you could respond to such questions. These questions are asked to understand your commitment to the sector, organisation or the type of role or career path that you are interviewing for. Remember, the interviewers genuinely want you to do well, so keep this in mind throughout the interview process. Structured – all candidates are asked the same questions and their responses assessed against a set of indicators. Semi-structured – some questions vary from candidate to candidate and some questions are asked to all candidates. Unstructured – all questions vary from candidate to candidate. Pay careful attention to the interviewer and answer the questions they ask, not the one you wish they had asked. Speak clearly and not too quickly and do ask for a moment if you need to think about your response. Watch out for cues from the interviewer, as these can often tell you whether you need to expand on something or bring that answer to a close. Use the STAR technique above to help you to avoid going off at a tangent or becoming embroiled in details that are not adding anything significant to your answer. If at any time you need to ask for clarification to a question, do so, as it will enable you to be sure that you understand how to frame your response to the question. Prospect’s podcast, 'Preparing for Interview, part 5 of 5', is designed to help you think about responses to difficult interview questions. Some employers use psychometric tests as part of their selection processes. They may be used early on the process, with only candidates who achieve a certain score in an ability test progressing to the next stages of the process, such as participating in a day at an assessment centre. Psychometric tests are also used to promote and develop employees, as well as for career counselling and self-development purposes. Psychometric tests can be clustered into two categories – ability or aptitude tests and personality questionnaires. These test an individual’s abilities in specific areas such as numeracy, verbal reasoning or critical thinking. They generally take the form of multiple-choice questions, which have right or wrong answers. Strict time limits are imposed, e.g. 30 questions in 30 minutes, and some tests are deliberately designed with more questions than can be completed in the time allowed. Use the practice question papers and make sure you understand the instructions. If you are taking the test at home, use a quiet room, where you won’t be disturbed. Make sure that you have a clock or watch in front of you so that you can check the time. Some tests have a bar in the corner of the screen to show you how much time you have remaining. If you get stuck on a question, don’t spend too long on it – move on to the next one. If you’re not sure of an answer, put down your best guess but avoid wild guessing. You can usually eliminate one or two of the potential responses fairly quickly, as they are clearly incorrect e.g. too extreme or too low). Be aware that questions often become more challenging as the test proceeds. If you have not studied maths for some time, it is a good idea to refresh your knowledge of how to do fundamental calculations such as ratios, percentages and fractions, and revisit your times tables. Check that you can do long multiplication. Practise interpreting data presented in graphs or tables. Have a look at the Financial Times or journals containing economic data and familiarise yourself with interpreting data. Do not worry about more advanced maths such as algebra or equations. These will not be tested unless the employer tells you explicitly that this is the case. Try extracting the main points from passages of information and summarising their meaning. Practise reading complicated or unfamiliar texts about subjects that you do not understand. Personality questionnaires are used to gather information about an individual’s typical behaviour and reactions in different situations. For example, they can indicate how you might relate to other people, your work style or your ability to deal with your own and others’ emotions. Unlike ability tests, there are no right or wrong answers and selectors use personality information to identify traits or characteristics that have been identified as contributing to success in a given role. It’s important to stress that personality questionnaires assess preferences and not abilities. Selectors would typically use the information generated from your responses as part of the interview. For example, if you have reported yourself as being someone who prefers to work independently, the selectors may want to explore how you would deal with project work that requires collaboration with others. Be honest and be yourself. You will not know exactly what personal qualities or traits the selectors are seeking and strength of preference being sought. You may also come unstuck in interview if selectors probe your responses in more depth and ask for examples of how you have responded in certain situations. The questionnaires usually contain checks that highlight inconsistencies in your approach. The questionnaires are usually untimed, but it is recommended that you put down your first reaction to the questions rather than spending time pondering their meaning or agonising over your response. Situational judgement tests (SJTs) are multiple-choice tests that consist of short descriptions of job-related situations. For each situation, several actions are listed that could be taken in response to it. Respondents are required to make judgements about the effectiveness of the actions provided. SJTs have become increasingly popular for recruitment as they can assess skills not picked up on through other measures, ranging from problem-solving and decision-making to interpersonal skills. The response mechanism can vary. For example, you may have to rate a set of courses of action, choose the most and least preferred action or allocate ratings between different options. Think back to similar situations or scenarios that you have observed through your own working life. What courses of action succeeded and which didn’t? Put yourself into the scenario. How would you prefer to be dealt with in the situation being described? analyse problems and come up with conclusions or recommendations based on your analysis. Throughout the written exercise you will need to express yourself clearly and succinctly. Ignore irrelevant information, spot inconsistencies and demonstrate good attention to detail. Written exercises can also be used to test specific skills, depending on the position that you are applying for. For example, if you are applying for a copywriting and editing position, you may be asked to proof-read a piece of text. If you are applying for a customer service role, you may be asked to draft a response to a letter of complaint. If you are applying for a consultancy or management role you may be presented with a case study to analyse. This usually involves providing you with a range of information about an issue, such as reports, financial data, newspaper cuttings, emails, letters etc. You will then be given a task to complete based on your analysis of the information e.g. write a report, a press release, or identify the main issues and put forward your recommendations to address them. These exercises aim to simulate the types of dilemmas and decisions that may arise in a typical day’s work for that organisation and are used to assess how you might cope in different situations. They are often used to assess skills such as decision-making, analysis and problem-solving and task prioritisation. You would be presented with a range of information designed to simulate an in-tray/in-box, such as requests requiring you to take action (e.g. seek further information, delegate the task etc) and/or make a decision. You may even need to perform the task (e.g. writing an email). You will be expected to prioritise all the tasks, indicating the most important and/or urgent as well as indicating what kind of action is required. A time limit is usually set to complete the activities. Identify which request you should deal with first, which to postpone and which to delegate and to whom. Identify which tasks, if any, are urgent. What action will you take to deal with it? How will you eventually tackle the task(s) that you decided to postpone? Skim-read all the tasks to gain an overview of what you have to do within the time available and indicate the reasons for the decisions that you undertake. Many employers use group exercises, where several candidates are given a joint task, to assess your capability to work effectively in a group or as part of a team. Group exercises vary, but one of the most common types is the discussion group, whereby a group of candidates are given one or more topics on current affairs or issues relevant to the organisation. The group is given a set amount of time for discussion and may be asked to reach a unanimous decision by the end of this time. The main objective is to observe how you relate to others in the group, not what decision the group reaches. Some organisations may ask a group to analyse a case study. The group will be required to study the evidence and come up with solutions to the problem within a set timescale. As with group discussions, the assessors will be more interested in the behaviour within the group than the precise solution to the case problem. Make regular contributions without appearing competitive or riding roughshod over others. When putting forward an idea, provide the rationale behind it. Be supportive towards others and encourage contributions from quieter people. Show that you are engaged with the topic by listening attentively – make eye contact with the speaker and use non-verbal cues such as nodding. Also build on the points made by others, summarising and moving the discussion forward. Here are some links to psychometric tests and recruitment exercises. Assessment Day – numerical, verbal and inductive reasoning questions with answers explained. Kogan Page – verbal, numerical and abstract reasoning tests with a personalised feedback report. Kenexa practice tests including numerical, verbal, logical. SHL Verbal, numerical and diagrammatic reasoning tests. Timed practice and feedback given. E-Tray Exercise, Civil Service Fast Stream – click ‘How do I apply’ for sample E-tray exercise.